Born in a grain elevator in 1887, a lot has changed here at Waddell, but our mission to celebrate stories worth sharing hasn't. There are some pretty incredible accomplishments behind the glass doors of our display solutions. That's why we handcraft high quality products with enhanced viewing features to showcase your efforts. 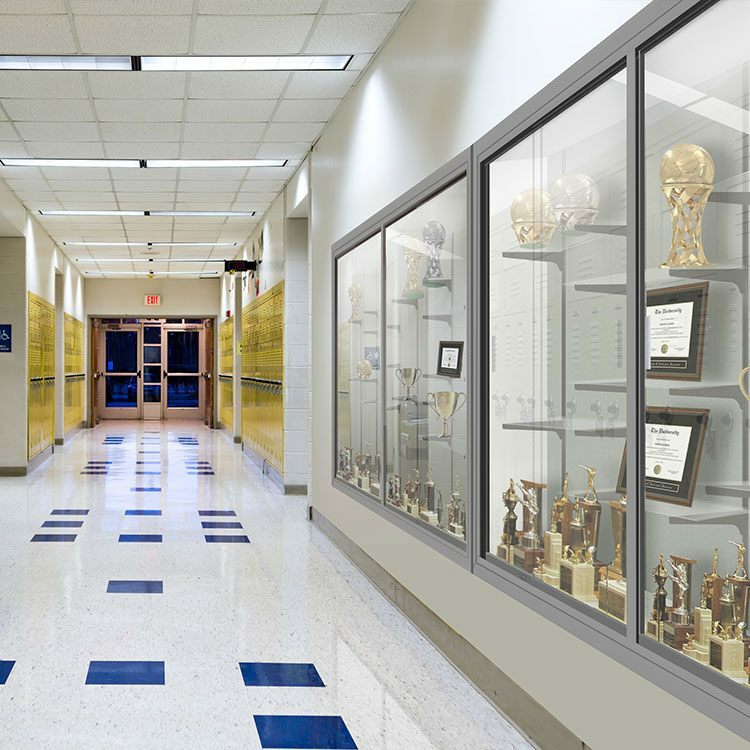 For over a century, Waddell has mastered and redefined free-standing, wall-mounted, and space division display cases. Our traditional and unique handcrafted cases, from hardwood to aluminum, promote communication and show pride for special achievements. 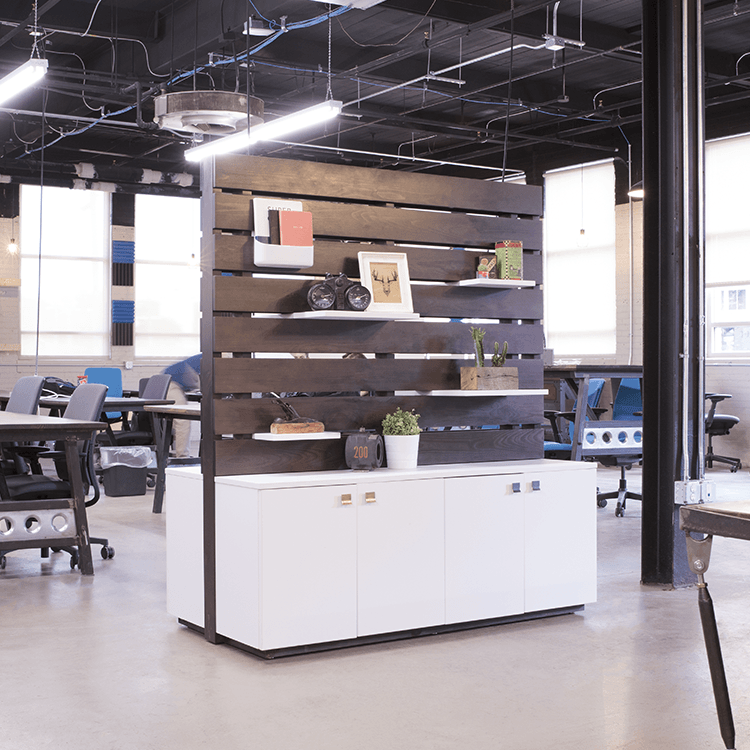 Schools, institutions, and offices use Waddell display furniture to transform and customize their space. Waddell display cases and furniture ship fully assembled and on a pallet. The only step you'll need to take before using your case is sliding in the glass shelves. 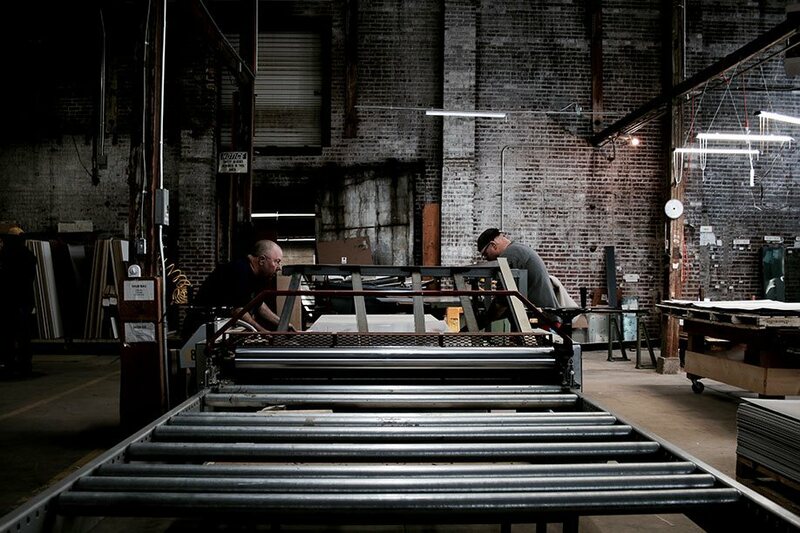 Carrying on the tradition of transforming raw materials into handcrafted displays, our cases are and always have been made in Greenfield, Ohio and shipped nationwide. Buy with confidence knowing our cases carry a lifetime warranty. Every one of our displays will stand the test of corporate, education and government environments. Born in a two-story grain elevator during 1887, Waddell formed its start with a problem and a simple solution: putting a handle on a coffee grinder to make it easier to hold with two hands. This success shaped our passion for problem solving, as soon we became not only artisans, but also innovators, creating cash registers, cigar cases, and x-ray egg testers to post office fixtures and display cases. A lot has changed over the past century, but our commitment for fine craftsmanship and innovating has pushed us to be the leaders in new spaces. 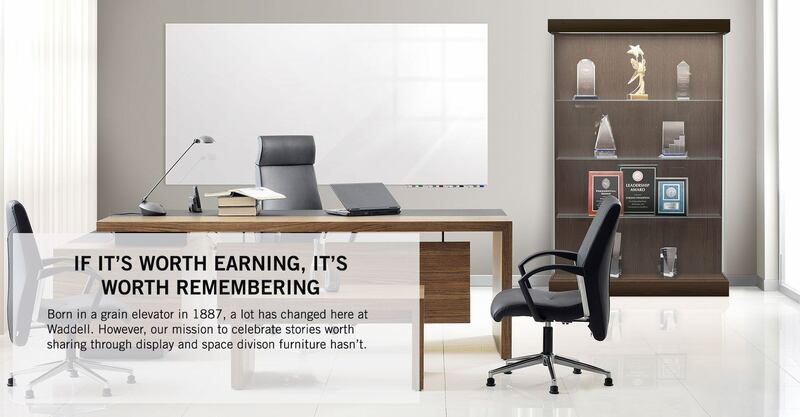 Our display furniture is made from good, honest materials made to showcase the pride in your work. 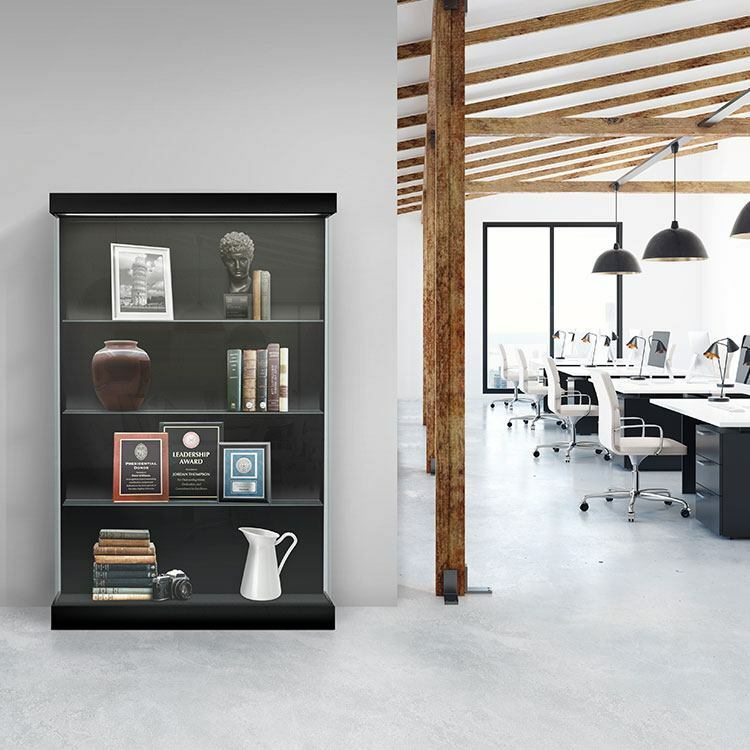 Our growing product line is built around the art of story telling: display cases and space division furniture. People have always been at the core of what we've been doing here at Waddell for over 100 years. We pride ourselves as problem solvers first and skilled craftsman second. Traditionally, our products have been about celebrating innovation, creativity, and accomplishment. 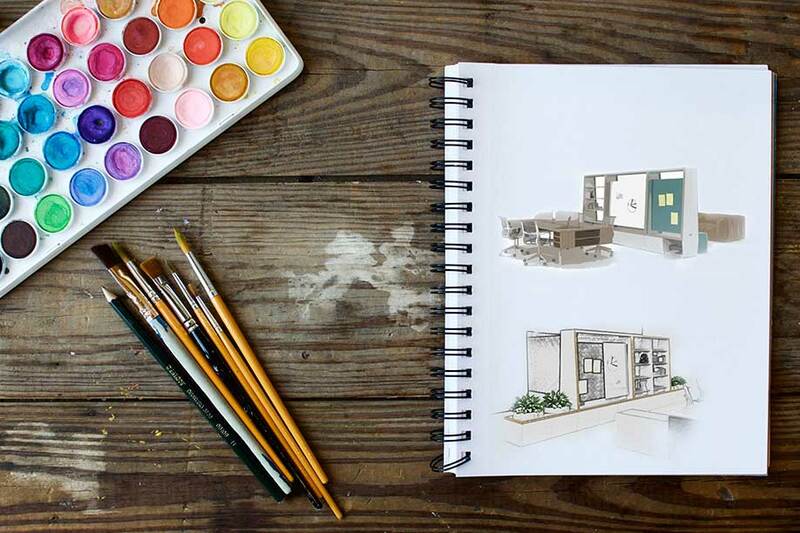 Today, we're entering new spaces to create products that help aid people in creating those moments of success in the work place. Interested in learning more about products? Need a quote or a lead time? Our Customer Experience team is just a short email or call away. We provide the exceptional service we'd want to experience ourselves! Use the form to drop us an email or give us a call at 800-543-0550.